RICARDO Ratliffe is back to suit up for Star in the PBA. The 6-8 import, who endeared himself to the team and its fans with his heads-up play in last year's Commissioner's Cup, arrived over the weekend to replace Tony Mitchell as the Hotshots import. 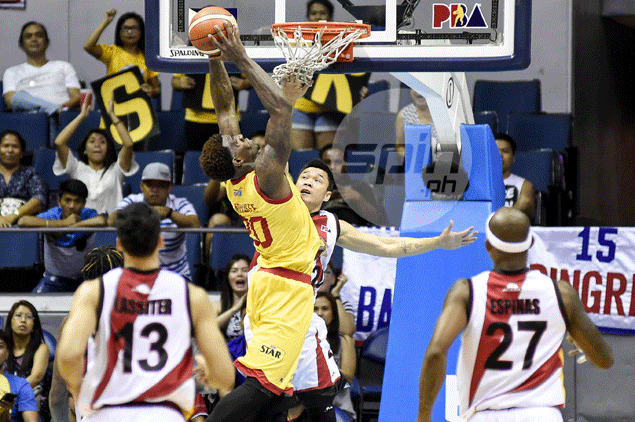 Ratliffe takes over from Mitchell, who had 21 points on 8-of-9 shooting and 18 boards in what turned out to be his farewell game for Star - a 99-93 victory over Rain or Shine on Saturday in Batangas.